Instead of £175.20. You save £8.76 due to the online discount . 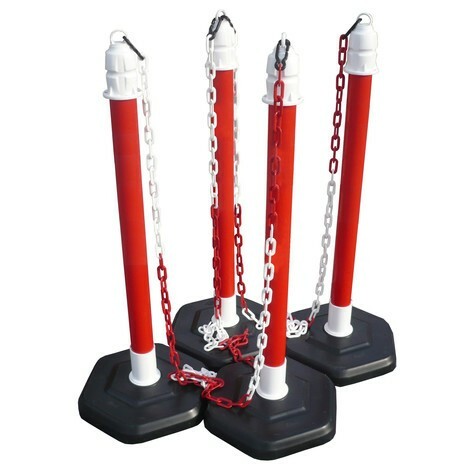 The chain posts are ready to use in no time at all – post and base are connected by means of a bayonet lock, the universal hooks and eyes make it easier to connect and secure chains. The sand-filled hexagonal bases ensure a firm footing. If you want to open up an area again, the set can be dismantled as quickly as you set it up. So you have a mobile barrier, which can be used as required in different places. 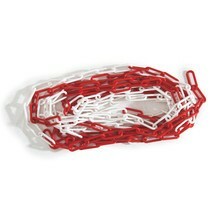 The chain post barrier is in the warning colour red. This makes it clearly visible from afar. The retroreflective strips emit incident light regardless of the angle of incidence to the light source. 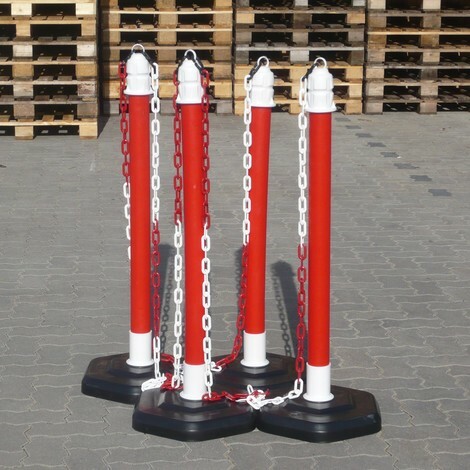 This makes the chain posts clearly visible to vehicles at night. 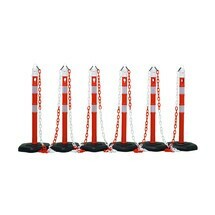 Make the blocking and opening up of areas easier than ever before and buy the posts for a mobile barrier from our shop.